It is a prescription drug that works as an oral contraceptive. This birth control pill has been approved for avoiding pregnancy. It has also been approved for treating problems like Premenstrual Dysphoric Disorder (PMDD) and you should also know Acne. In rare cases, there can be problems like liver cancer, blood clots, benign liver tumors or associated problems like stroke. These side effects are very rare but can be acute enough to cause death if left untreated. However, there are many women who do not experience any problems. Many women manage to tolerate the discomforting symptoms quite well. There are certain side effects of this pill that are infrequent in occurrence. However, these are potentially dangerous and may lead to acute, life-threatening complications. Blood clots in the leg – These may be indicated by leg cramps, pain in the calf and inflammation of leg or foot. Blood clots in the lungs – Respiratory shortness, sharp pain in the chest and coughing up blood can indicate the presence of blood clots in lungs. Blood clots in the eye – Sudden vision changes or loss of vision may indicate the development of eye clots. Heart attack – This can be indicated by heaviness and pain in the chest. Stroke – Numbness or weakness in a leg or arm, acute headache and changes in speech or vision may be the early signs of an impending stroke. Liver damage – This can be indicated by symptoms like dark color of urine, pain in upper-right section of the abdomen, and yellowness of the skin or the white areas of the eye. Migraines, high cholesterol (Hypercholesterolemia), high blood pressure (Hypertension) and depression are other acute side effects arising from use of this medicine. Some people may experience symptoms of an allergic rash such as hives, unexplained rashes and inflammation, wheezing, inching and difficulties in breathing or swallowing. Individuals experiencing these symptoms should immediately report them to medical care providers. Gianvi is in reality a generic version for Yaz that was released on 2nd June, 2010. It is distributed and marketed as a generic substitute to Yaz. It contains the same chemicals as Yaz except for one or two components. It is manufactured by Teva, the same company that makes the generic version for Yasmin (Ocella). This medicine contains chemicals like Drospirenone and Ethinyl estradiol. A combination of these two chemicals is quite effective in treating acne. However, the medicine should be used for treating acne in women who are at least 14 years of age and have started menstruating. The drug is effective in curing mild cases of acne. Gianvi has been approved to acne only in women who want to use a contraceptive method. However, some women get better results with Yaz than Gianvi in acne relief. The inert tablets consist of chemicals like Hypromellose, Anhydrous Lactose, Microcrystalline Cellulose and Magnesium Stearate. The use of this medicine can also lead to a gain in body weight in some individuals. This is due to the fact that the drug produces extreme hunger in certain people and forces them to eat more foods. This leads to a consequent increase in body weight. Weight gain is one of the most common side effects of Gianvi use. 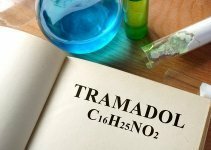 In very rare cases, users of this drug suffer from a sudden drop in body weight. This can occur due to presence of vomiting or nauseating sensations in individuals. These sensations can make individuals disinclined to have foods. They may become unable to eat the same quantity of food that they can comfortably have prior to the use of the medicine. The price of Gianvi is around 10 dollars less than what a pack of Yaz costs. A packet of Yaz is usually available at $76. However, the cost of this drug can vary depending on where you are buying it from. You can buy Gianvi in as low price as $50. 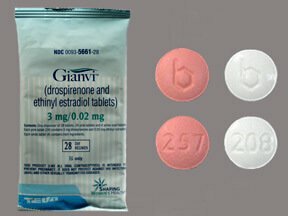 As per reviews of Gianvi birth control pill, several users of this medicine have missed a menstrual period. Some users also suffer from acute stomach pain, nervousness and headaches. If you miss your menstrual period, get in touch with a doctor immediately. An experienced healthcare provider will be able to determine the cause of your missed period and solve it in a proper way. Users may suffer from breakthrough bleeding or spotting while taking this drug. Such individuals should be instructed to continue with the medicine as per instructions. This kind of bleeding is usually short-lived and not very significant. However, patients of prolonged or continuous bleeding should immediately get in touch with a physician. As aforesaid, depression is one of the major side effects of this medicine. 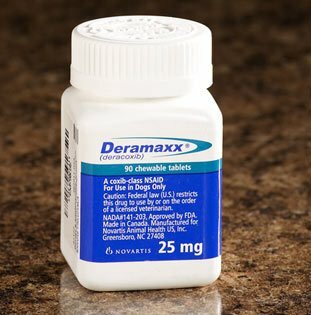 Users with a history of depression should use this drug very carefully and discontinue the drug if they experience a recurrence of depressive symptoms. Use of this drug is also known to cause scalp hair loss in some women. This problem may last for a short time and go away in a week or two. If hair loss persists, users should consult a physician. Most women do not experience any discomforts or suffer only mildly after the use of Gianvi. If you are using this medicine and experiencing any strongly discomforting symptoms, you should get in touch with doctors. This will help you to avoid any complications from use of this oral contraceptive. Hi, Been taking Gianvi for 6 months now. I usually get my period on the 3rd day of white/sugar pill. But this month yesterday was my last day for white/sugar pill and still don’t have period. Am I pregnant? I am so scared because I am not ready for a new baby yet.